This bathroom vanity #230x is sold but we are able to build similarly. Please contact us to go over our details. 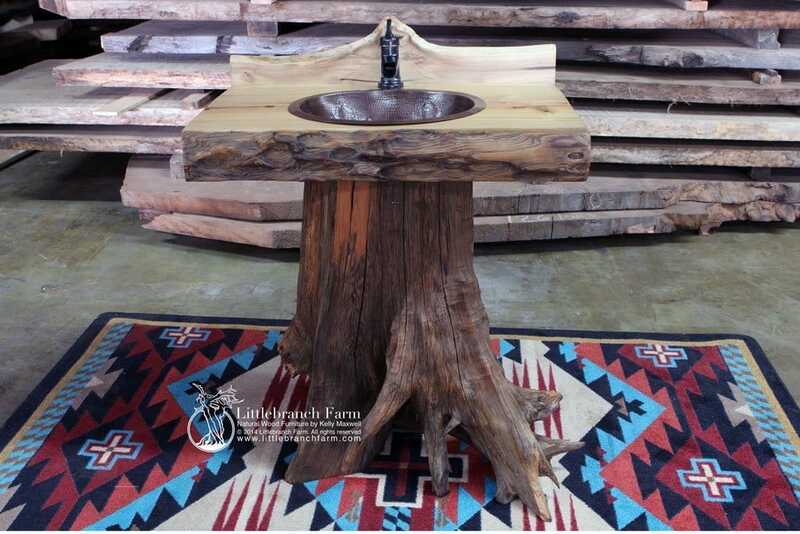 Custom western cedar pedestal vanity has a live edge sinker log cypress wood slab countertop. Also, the base is a grayish brown western cedar stump. 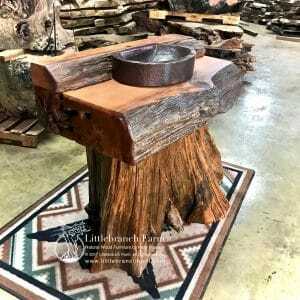 A natural patina hammered copper sink is also apart of this rustic vanity. 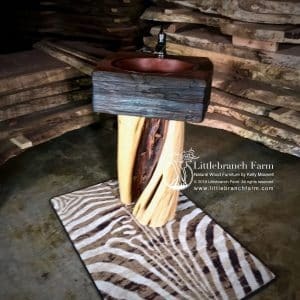 Although stone sinks and other bathroom sinks are also options. 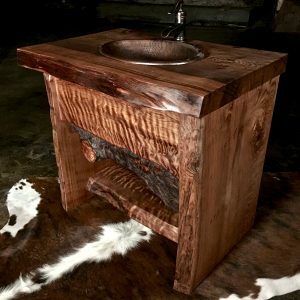 This style of bathroom vanity also built with redwood or maple wood countertop. 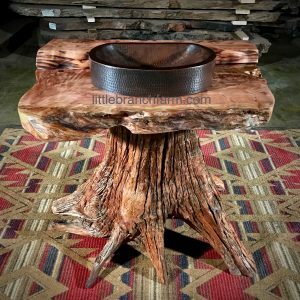 This same natural wood is used in our custom rustic furniture. 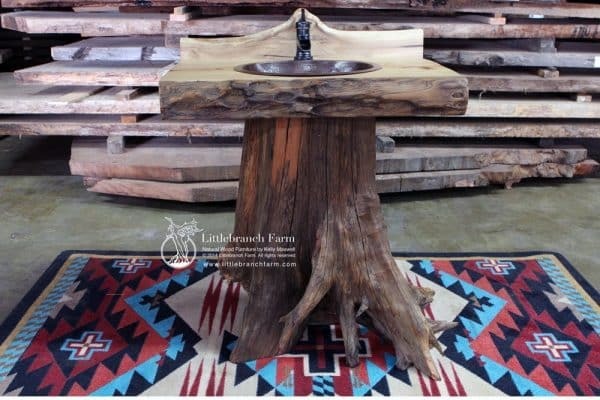 Such as a live edge table, natural wood burl wood art, and custom rustic bed. We strive to revile the beauty of natural wood.